How do you cope when you lose a parent? Unfortunately, there’s no simple solution for that kind of heartbreak. It takes a lot of time and patience to move past your loss, and even then you’ll never get over it completely. However, if you have something to remember your parent by, then it makes things a lot easier to cope with. That’s how Triston Walsh managed to deal with his heartache when he suddenly lost his father. When the man passed away on the frontlines, the boy used his dad’s car to cling onto the memory of him. Having that vehicle in his life kept him going when his pain became too much to bear. That’s why he struggled to cope when his mom revealed one day that she’d sold the car. Triston couldn’t believe that his sole remaining parent would betray him like that, especially after everything that had happened. However, all was not as it appeared. It seems that his mom wasn’t entirely truthful with him because she had a big surprise waiting for her son. Holding onto the past isn’t always a good idea, especially if you develop an unhealthy obsession with looking backwards rather than forwards. For those dealing with loss though, there’s nothing wrong with reflecting on the good memories you had together. While you can’t spend the rest of your life dwelling on them, it’s important to treasure the people that aren’t with you anymore. Isn’t that what being human is all about? There’s no right age to lose a parent. It’s always a painful blow, young or old. Triston was only four-years-old when his dad was taken away from him, and he wasn’t sure how to process everything. The idea that his father was never coming home didn’t make sense to him – where had he gone? Of course, as the years went on, the grief affected him more and more. As he realized that he really was never going to see his dad again, he found it hard to hold himself together. Although he tried to stay strong for his family’s sake, he was breaking apart inside. Was this how he was going to feel for the rest of his life? Over time, Triston found it harder and harder to remember his father. He’d been so young when he’d spent time with the man that the memories weren’t easy to hold onto. Not wanting to forget about him completely, Triston looked to something to keep him close by. That’s when he turned to his dad’s 1990 Ford Bronco. 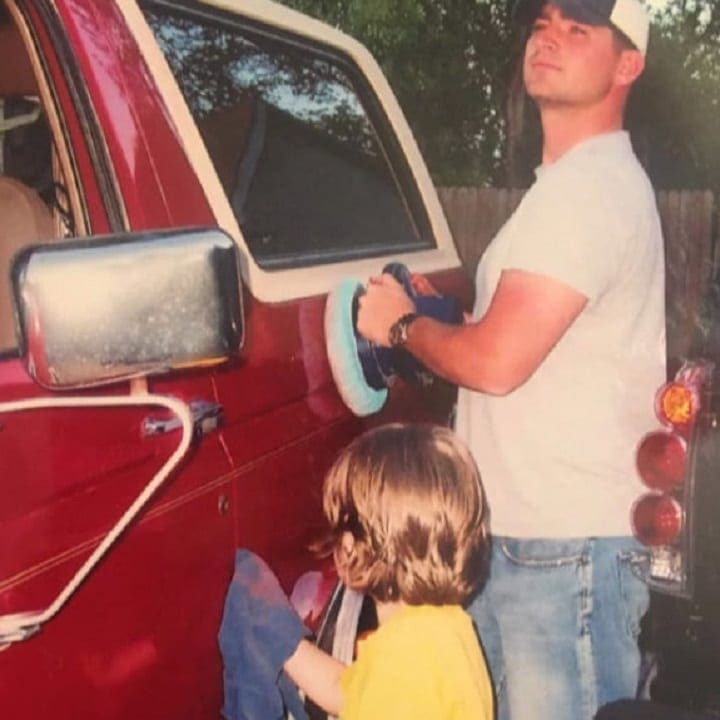 He remembered how much his father had cared about that truck, and it holds a special place in his heart. The vehicle became Triston’s way to stay connected to his old man, and it helped him through many a difficult day. Unfortunately, disaster was soon about to tear the two of them apart. 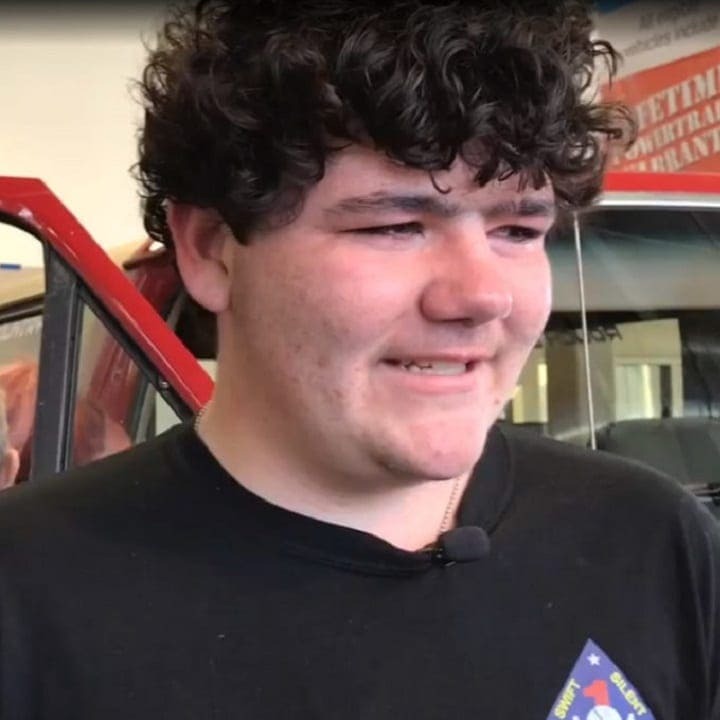 A few weeks before his 16th birthday, the teenager woke up to discover the car was gone! Obviously, the car hadn’t driven off itself, and no-one had come in the night to steal it either. So, who was responsible for taking away his most treasured possession? It turned out that his mom, Julie, was the culprit, and finding that out completely broke Triston’s heart. 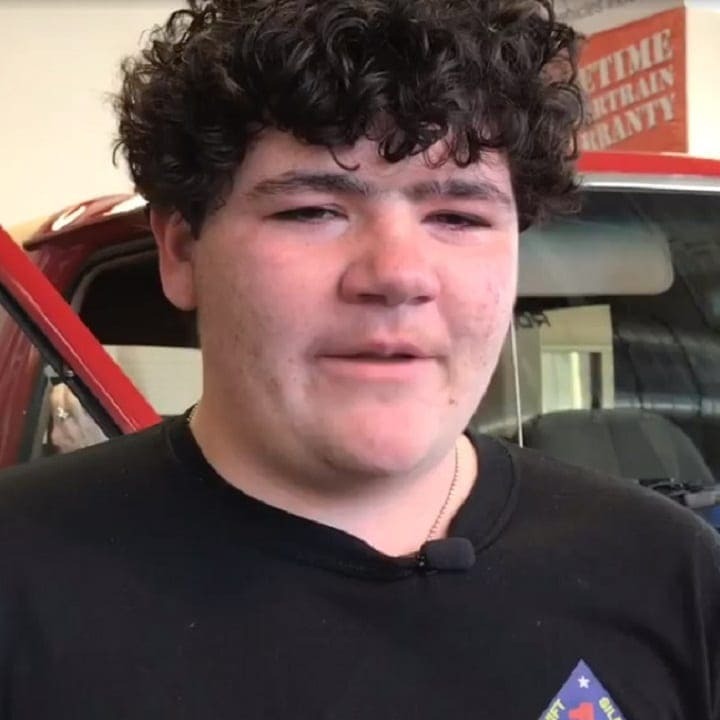 His mom explained that she’d sold the car so she could afford to buy him a new one. Her son would soon be at an age where he’d be allowed to drive, and she wanted him to have a car he could actually use. Of course, Tristan didn’t care about that. The memory of his father meant more to him than getting his license. Little did he know, though, that his mom had told him a lie. She hadn’t actually sold it, but rather sent it to get fixed as a surprise birthday present. Despite what her son believed, Julie could never have brought herself to sell the car. She’d been just as affected by her husband’s sudden passing in 2007, and the thought of tarnishing his memory like that made her sick. Nick had been the love of her life, and she’d imagined that the two of them would always be together. After all, her husband had been incredibly persistent in asking her out on a date. He’d met her when she was working at a bar, and he’d been persistent even when she’d rebuffed his advances. Although she’d given him a fake phone number, he just kept coming back to see her. Eventually, after he’d serenaded her, Julie decided to give him a chance. To this day, she’s never regretted that. From there, the relationship blossomed into something beautiful. The couple moved to Illinois, started a family, and eventually got married. 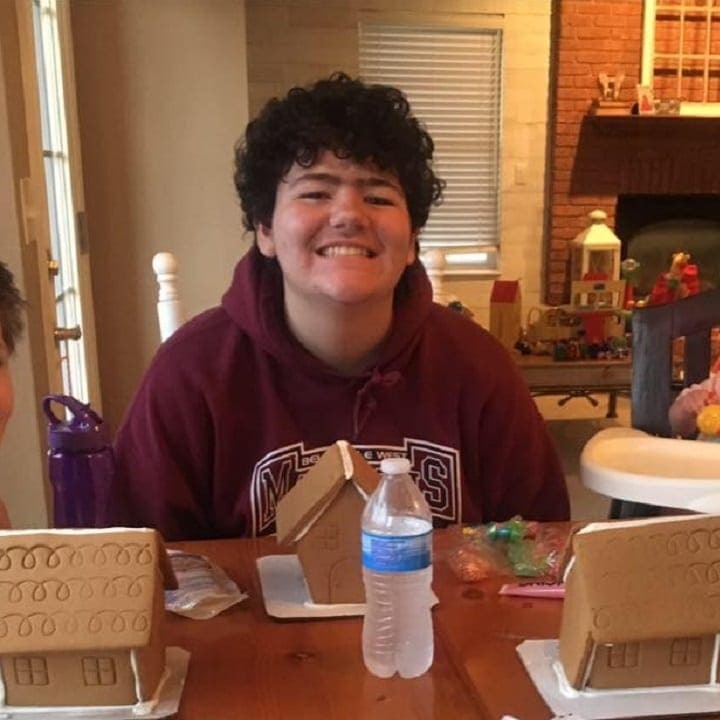 Triston was born in 2003, and Nick offered to be a stay-at-home dad while his wife continued to work as a nurse. However, as much as he loved his wife and kid, he couldn’t resist the call of the marines. 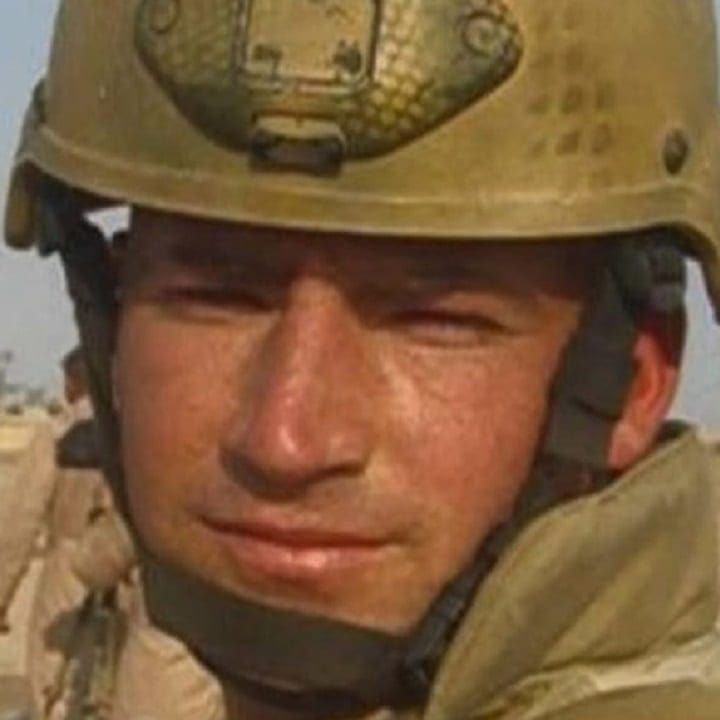 He re-enlisted in 2005 and was sent to serve in Iraq before long. It wasn’t easy for Julie to let him go, but she knew he needed this. While he was away, Nick missed his family terribly. 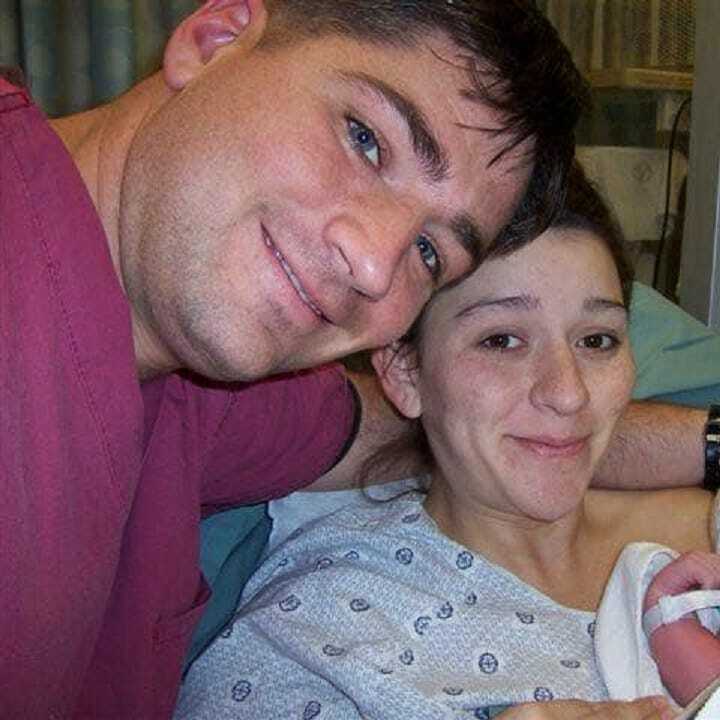 Being apart from his new wife wasn’t easy, especially when she had their young son to care for. That’s why when he returned from his first deployment, he dedicated as much time as possible to his family. He wanted to show them how much he cared about them, and also have an opportunity to bond with his child. Triston had grown up so much since he’d been gone, and Nick worried about missing out on all the important milestones in his life. It was Nick’s desire to spend more time with his son that convinced him to take Triston as company when he went to collect his new car. The vehicle was over in Colorado, meaning he had to catch a flight to the dealership and then drive the truck back to Illinois. On the way home, Nick opted for the scenic route so he and Triston could have as much time to bond as possible. The memories of that father and son road trip have stayed with the boy for years. Triston still remembers that road trip now, although the specifics are no longer quite so clear. That’s why he developed such a close bond to the car. One of the best memories he has of his father is that time they spent together on the road. It’s no wonder it hit him so hard when his mom revealed she’d sold the vehicle. A new car wouldn’t have those same memories attached to it, and it would never be associated with his father. Triston felt that his mom had betrayed him. After finding out what Julie had done, Triston lashed out. He felt utterly broken by what had happened, and he couldn’t stand to be in the same room as his mother. For two weeks, he gave Julie the silent treatment as he struggled to keep his emotions in check. It hurt Julie to do that to her son, but she hoped all would be forgiven once he got his surprise. After all, he’d have his dad’s car back, only with a bit of a makeover. The problem with Nick’s Bronco was that it wasn’t in a great condition. It hadn’t been used since the soldier was gunned down in Iraq over a decade ago, so a lot of the parts weren’t working properly anymore. Julie knew how much her son wanted to drive the car once he was old enough, but there was no chance of that happening in its current state. That’s why she got in touch with a Ford dealer and came to an arrangement that would get the truck up and running again. 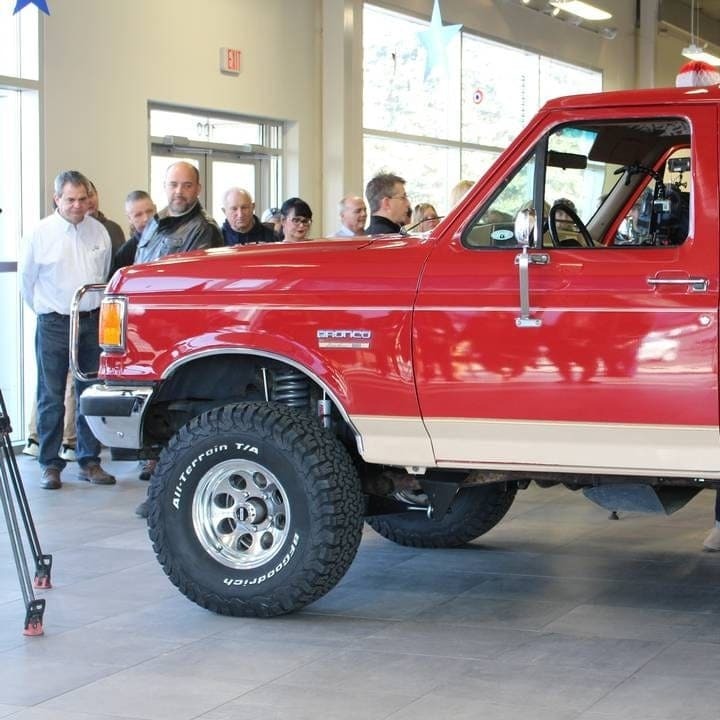 Although the outside of the Bronco looked fine because it had been kept in the garage for years, the inside was a different story. Things like the radiator and battery had to be changed, as well as all of the tires. The mechanics at Ford also installed a suspension system to ensure that the car would be completely safe on the road. The men who fixed the car did so in their spare time. They were working out of the kindness of their hearts, and all for Triston. Once the car was back in working order, Julie got ready to surprise her son with his birthday present. She told him that Ford wanted him to test drive one of their cars to see whether or not it suited him. 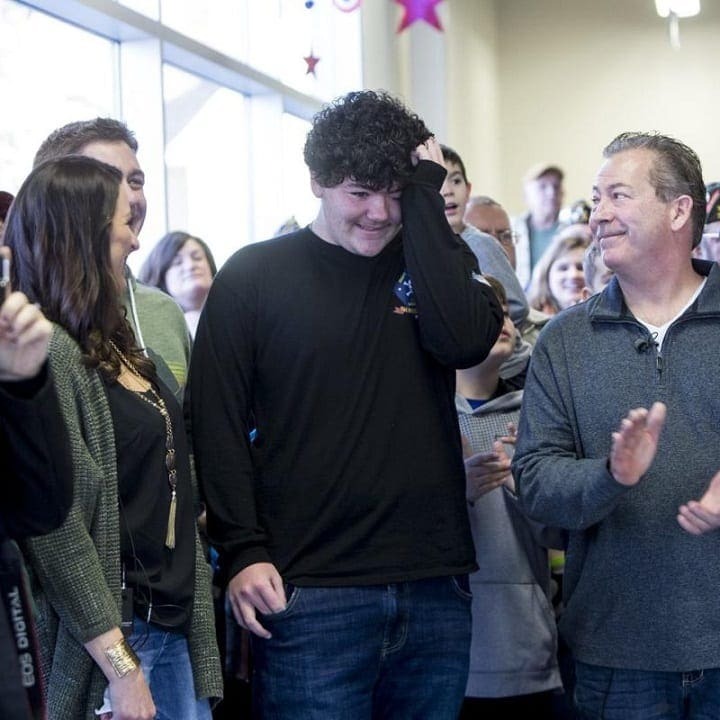 Triston was still deeply upset over losing his dad’s truck, but he went along anyway. Even though his mom had betrayed him, he still wasn’t going to turn down the chance to get his own car. Little did he know what was actually waiting for him at the dealership. 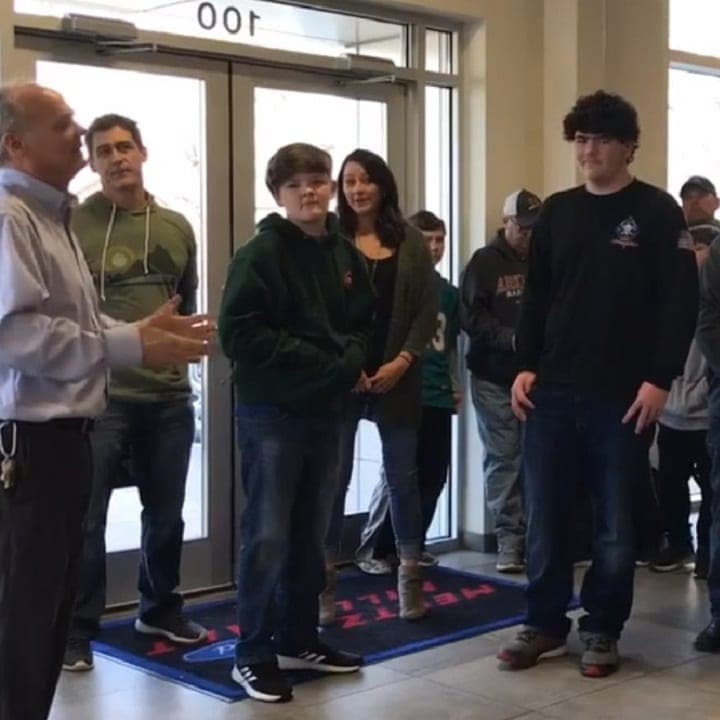 Triston was undoubtedly caught off guard when he arrived at the dealership to find a whole crowd of people there waiting for him. From Ford staff to military personnel, a lot of people had shown up for this test drive. 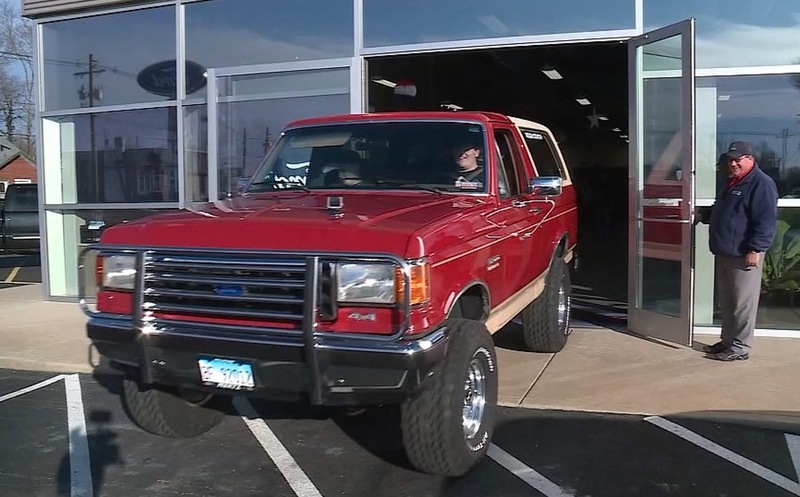 The teenager had no idea why, until a truck entered the showroom and he was completely lost for this. This wasn’t just any old car – it was his dad’s. The mechanics had given it a new lease of life, and it was running smoother than ever before. As the car appeared through the paper curtain, the room fired up with applause. They were thrilled to see just how much this present meant to Triston, Julie especially. 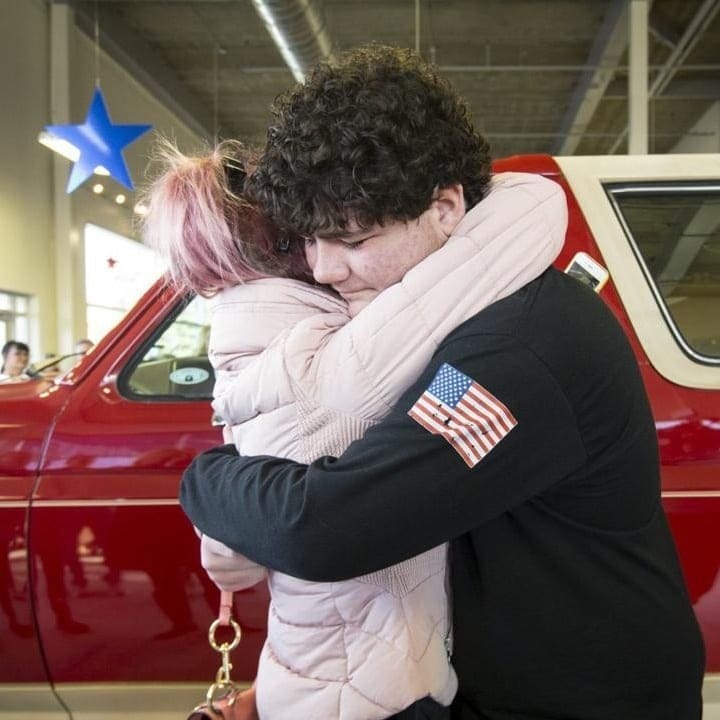 She felt awful for lying to her son, but all was quickly forgiven when the teenager got to sit in his dad’s truck. This was something he’d never thought he’d get to do again, and now he was free to take it out for a drive whenever he wanted. Well, once he got his license that is. Emotions were certainly running high that day as Triston and his family became overwhelmed by everything. It wasn’t just the great gift that made them tearful, but also the kindness of these people they’d never met. 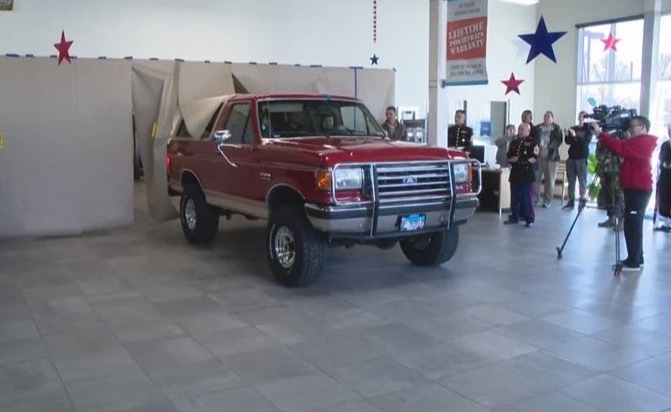 The mechanics had dedicated their free time to fix the truck, and the Marine Reconnaissance Foundation had paid for all the work. 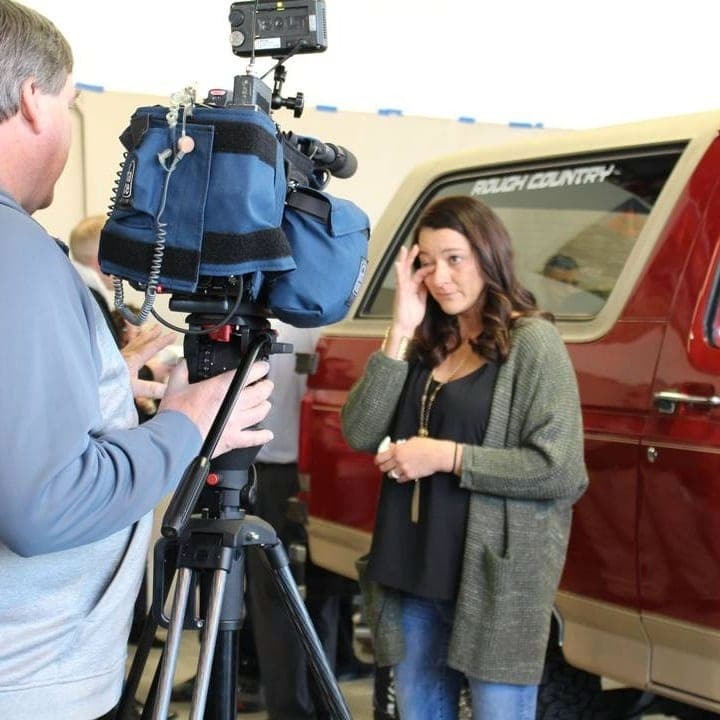 Everyone had done their bit to honor Triston’s fallen father and ensure that his beloved truck would live on for many years to come. Nick would have been incredibly proud. The rest of the day turned into a huge celebration for Triston’s birthday. There was food, drinks, and photographs galore as the community raised a toast to the teenager. It wasn’t just him that was honored in that car dealership though. There was a great feeling of patriotism in the room as the military personnel celebrated Nick’s life. 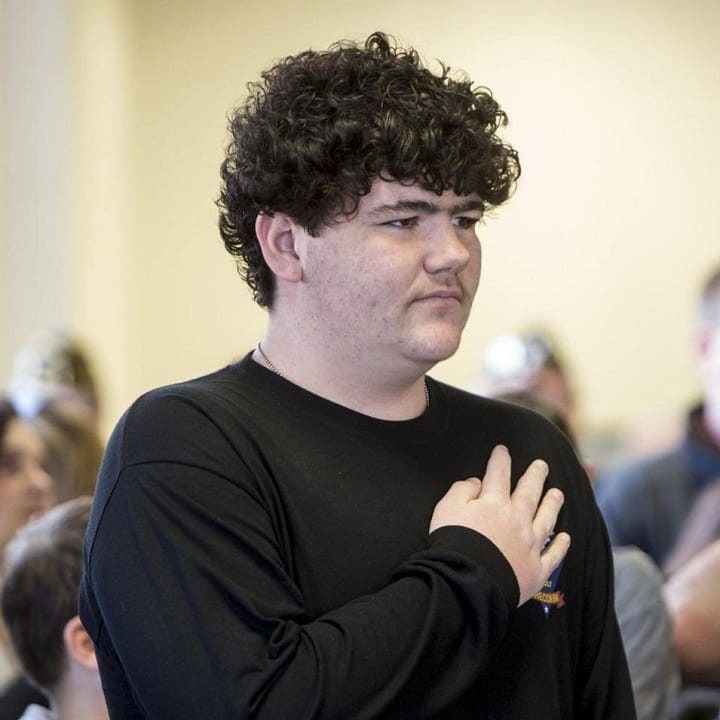 Even though Triston’s family had been without the man for more than a decade, it touched their hearts that people still wanted to remember him. They felt closer than ever to him that day. 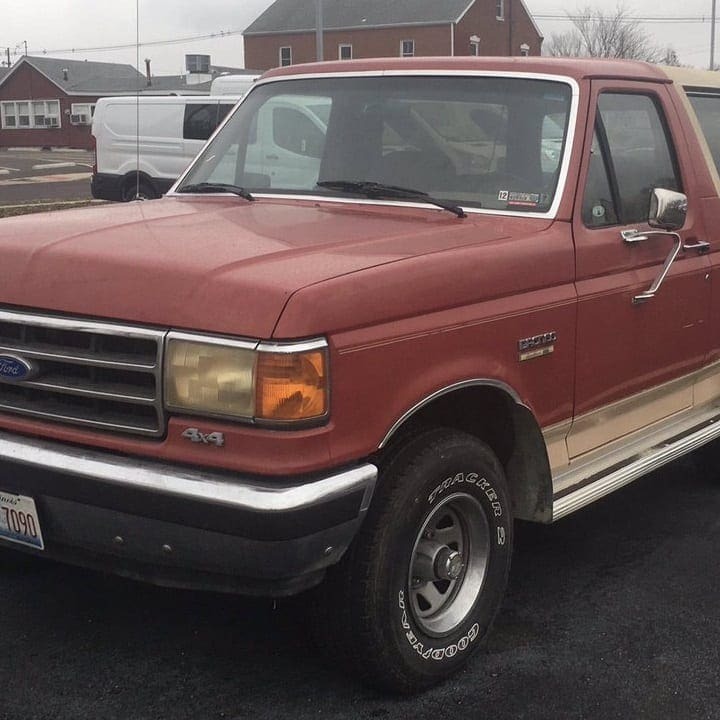 Even though it looked good from the outside, after 12 years of sitting in the garage the Bronco was in pretty rough shape. 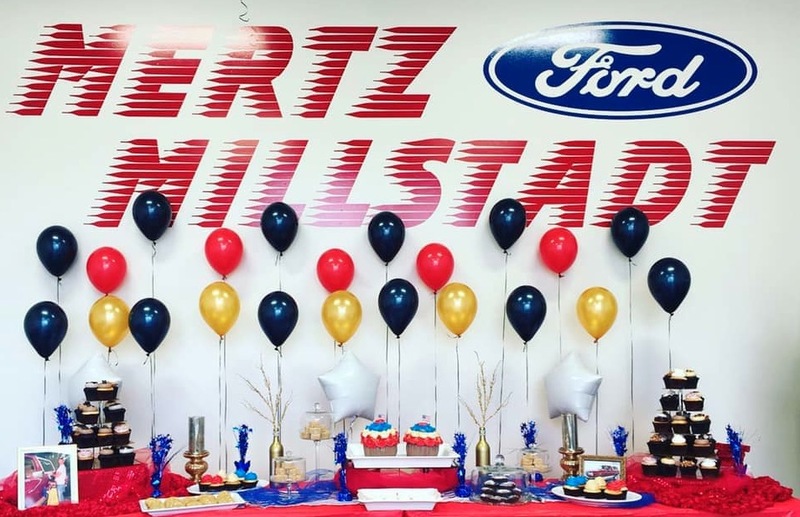 That meant that the team at Mertz Ford had a lot of work on their hands. Fortunately, a lot of people felt strongly about the project and wanted to pitch in. Two mechanics worked without pay in the evenings and on weekends, and car parts were donated to the cause. 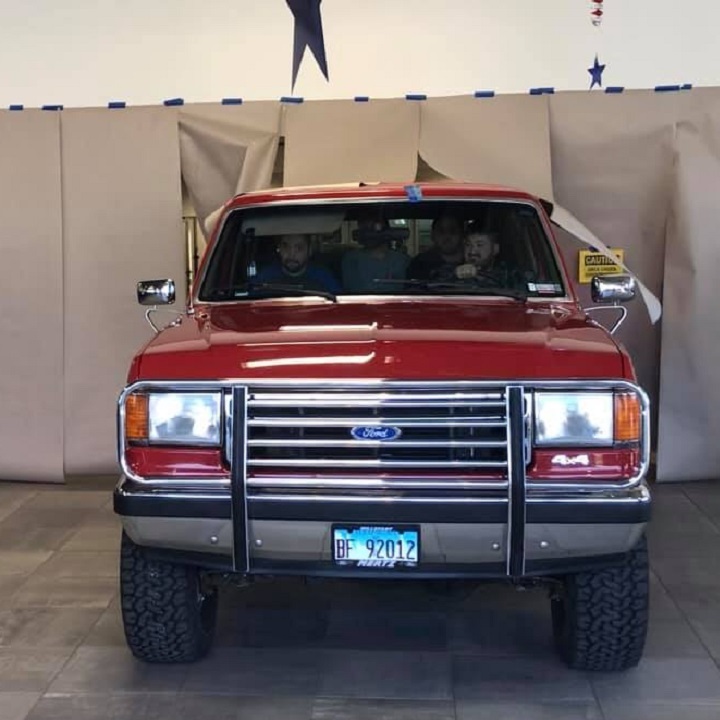 The mechanics wanted to make sure that the truck would be “safe and dependable” for Triston. 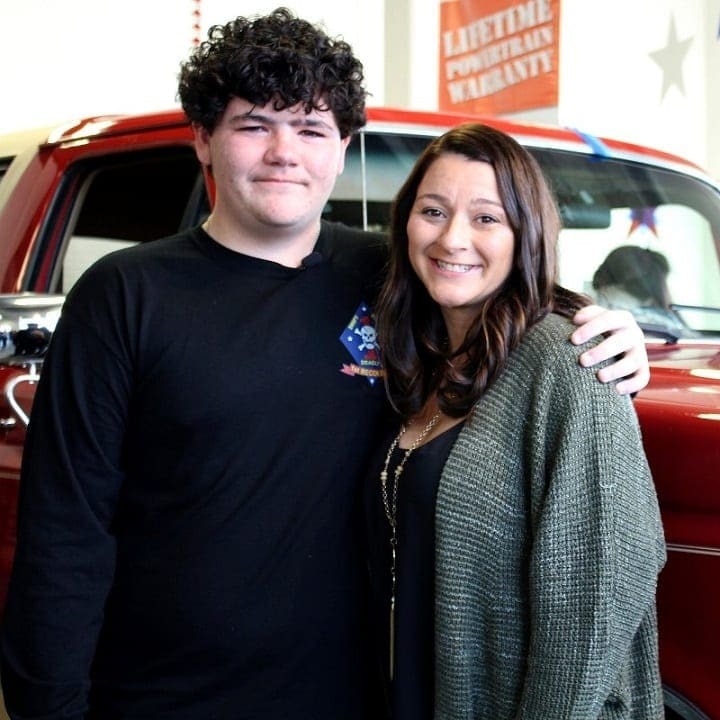 The effort that went into restoring his father’s old Bronco meant a lot to Triston. He felt that he now had a part of his father with him. 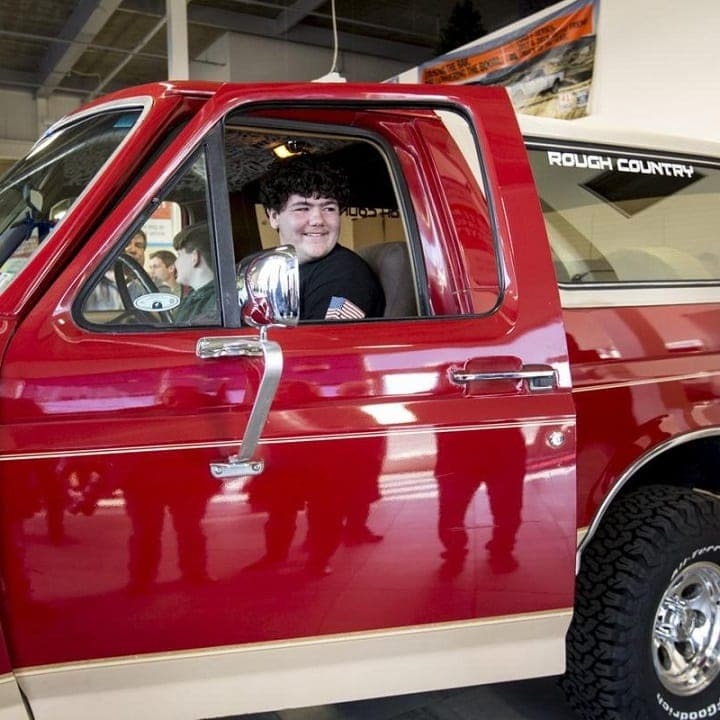 He was so happy when he first saw the Bronco that he was at a loss for words. When his mom asked if he wanted to get in, he just said, “Yeah,” and the crowd laughed. Later, Triston said that he will think of his father every time he puts the keys in the ignition. 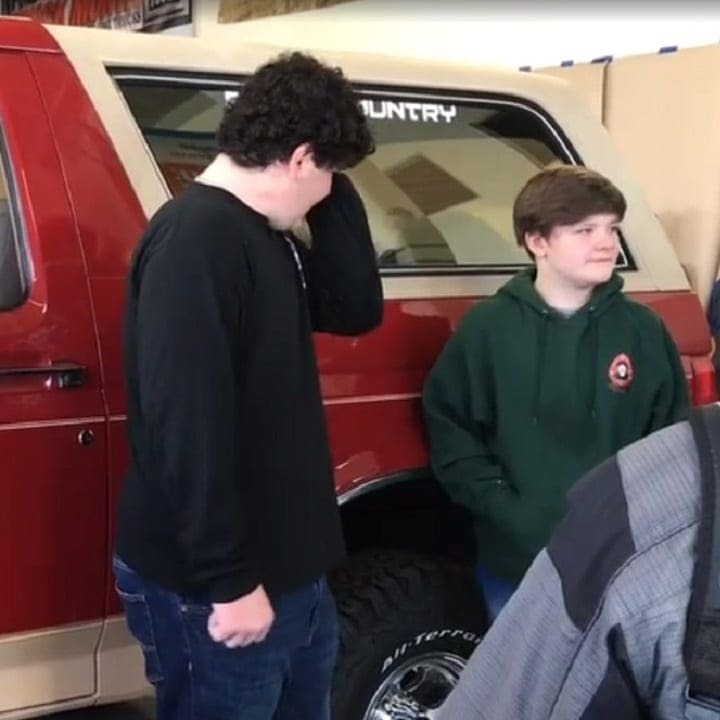 Since the restored Bronco was a gift for Triston’s sweet 16, the family also had a birthday to celebrate. Friends and family came to see the SUV and celebrate with Triston. People brought food, decorations, and even cupcakes and balloons to make the occasion even more memorable. It also had a patriotic theme in honor of Nick, and a portrait of the beloved husband and father was sitting nearby throughout the event. Everyone really came together to honor Nick, celebrate Triston, and show their love for the family.